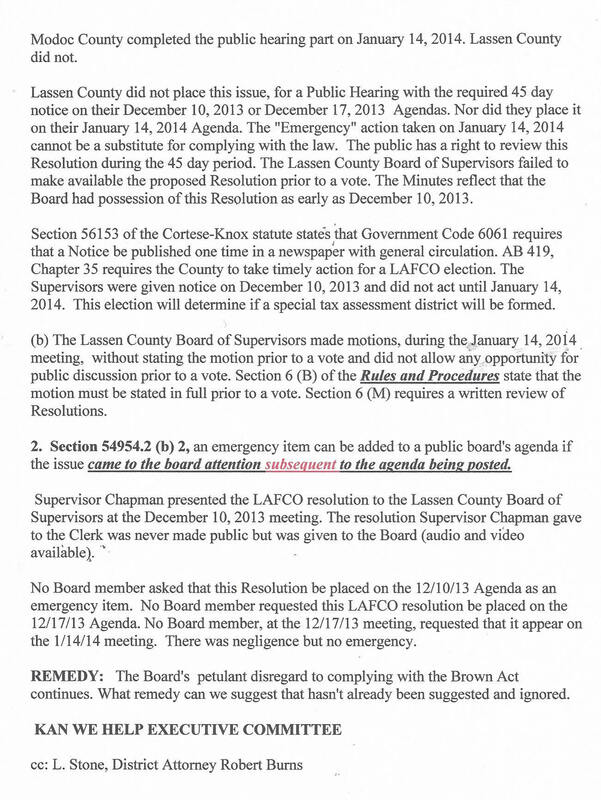 The Lassen County Supervisors allow public comment twice during their meetings. Once before Closed Session, once at the beginning for issues not on the Agenda. 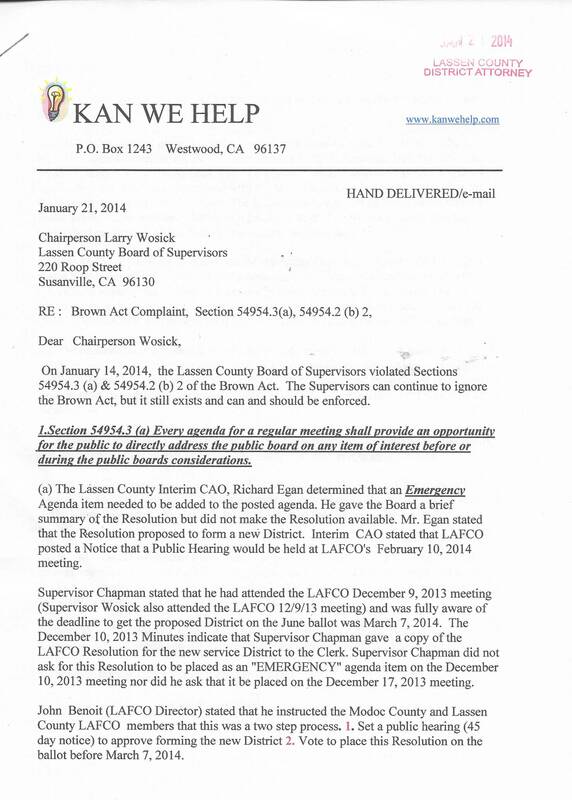 Has the County Counsel advised this Public Board they can ignore the Brown Act.